Thank you for posting this and for including voices of several of our striking faculty members! I know lots of people in numerous disciplines read you (I often have, and I’m an art historian), so that means this message will reach a wide range of job-hunting ABDs and PhDs. You shouldn’t feel the need to explain that it’s not about money – you have EVERY right to be paid professional wages for professional work. We aren’t monks, we paid a lot of money and gave most of our energy, lives, and passion to higher ed. Despite that, I am a part-time contractor trying to rebrand myself & develop new skills so I can have what a bright 23 year could have. I’m with you, 100%, but I don’t think you owe anyone a disclaimer about wages. We have adjuncts on food stamps and going without healthcare. We had strikes for LA teachers (who outearn us when you adjust for education & full time). I do not teach at WSU. I do teach at another local college. I have watched this issue closely and have had the opportunity to speak to several individuals directly involved. Anyone who can see and hear is aware BOTH sides are responsible. Both sides have participated on this well publicized temper tantrum. I suspect this escapade has already done long-term harm to WSU. Admin and faculty: Get over yourselves and grow up. Neither of you have wide-spread support with the community or your peers at other institutions. Grow up. Could you tell me a bit more about why you feel both sides here are equally at fault? I’ve been following the situation loosely, and didn’t get that impression, but it is entirely possible that I’m missing some important context here. 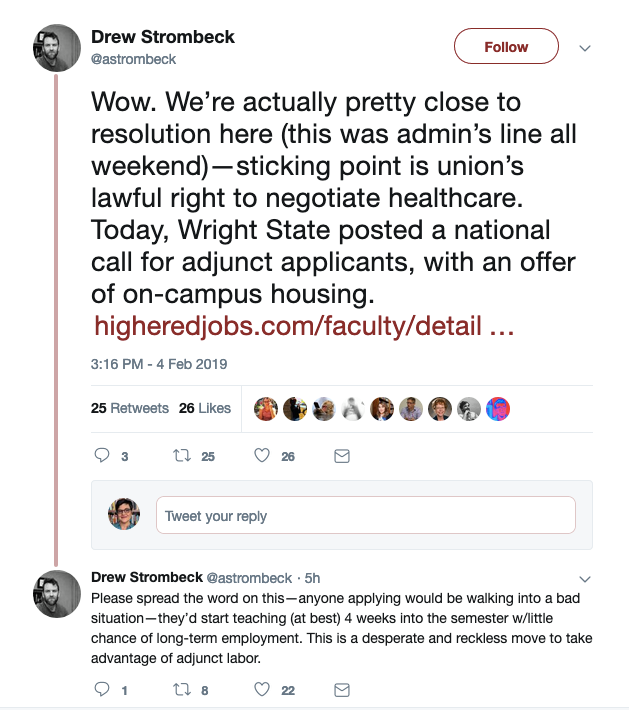 Do you feel that the faculty should have accepted the contract as currently proposed by admin, even with the weakening of job stability, cuts to health care, and imposition of “furlough days” at the discretion of admin? Or was there another point along the way where you felt the faculty were unwilling to find a middle ground in a way that you felt was unreasonable? I’m genuinely curious–I’d love to have a more well-rounded understanding of others thoughts on whats happening there. Hi Scot and Alyssa! I’m a striking faculty member at WSU, so I can definitely give you the insider scoop. We are not “throwing temper tantrums.” We are not the ones who mismanaged the money, THEY are. And the fact that Scot thinks that we are acting like children is a testament to the power of the media. The administration has purposely put out false information – that is a fact. We have come to an agreement with the administration on EVERYTHING (we conceded to a lot and that amounts to $8 million in savings for the university). The ONLY thing left on the bargaining table is our right to bargain over health care in the FUTURE. We accepted the bad health care plan they imposed. But without our right to bargain over health care (which is illegal to deny us that right), they want the right to be able to change our health care plan with only a 60 days notice, which means our monthly contributions could double without any say at any time. And that does not allow us time to budget for that. I’m not sure what family could withstand that kind of financial insecurity. How can we trust an administration who blew over $150 million dollars? We can’t. They have one objective, really – to break up our union. They want the power to dictate everything, and for us to not be able to bargain for anything in the future. This is a power struggle, not about raises or healthcare. We don’t want WSU to turn from a democracy into a dictatorship. And I’m sure people who fought the tyranny of England in the American Revolution would not have appreciated someone saying “grow up” and accept what they are doing to you. If they did, we wouldn’t have the fine country that we have today. Thank you!! I’m a WSU graduate (BA), went on to graduate school elsewhere, and returned to adjunct at WSU because it’s closer to home. Adjuncting there was terrible in the “good” days. Full time, year-round adjuncting would have paid $16,800 – but full time adjuncting more than one or maybe two quarters was impossible, because there was no opportunity. 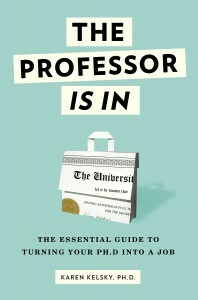 I found out about the need for adjuncts from a friend – who has just a BA in our field – because she was approached about adjuncting in the department. She knew she wasn’t qualified and recommended me instead. I was interviewed and hired one week before classes started – no time to prep an entire course. I was stunned to walk into my very first class and find it over-enrolled with 36 students. All of the adjuncts in my department shared a closet of an office, far removed from my department and all the faculty two floors away. The office was completely inaccessible to disabled students due to a long, narrow hallway with 90 degree turns, forcing us to meet disabled students in common areas of the building to discuss their private information. (This at an institution that bills itself as disability-friendly.) And I had to fight to get a -copy code- for the department’s copy machine…the faculty have them, but the administration didn’t want to give them to the adjuncts. We were supposed to send all our copy requests to the student office workers. I only lasted a couple of terms, and I vowed I wouldn’t participate in such an exploitative system again. The faculty in my department were, almost without exception, wonderful. As an undergraduate student, I knew them to be passionate and knowledgeable about their fields and dedicated educators. They were equally wonderful when they were my colleagues, and I’m friends with many of them to this day. But when a university’s administration puts so little value on the people in the classroom and on the education the students are receiving, that institution is in trouble. In general, American Academia has become a scam. A few elitists who are good in departmental politics created oligarchy that feeds on an underpaid majority of those who do real scholarly work and teaching but have to live precarious lives. It is a toxic corporation-like environment where higher-ups are essentially selected and rewarded for their sociopathic behavioral traits. No wonder there are abuses on the job, academic misconduct, scientific fraud, intellectual property theft…because it is all inherent to individuals who tend to be selected for senior positions in present-day Academia.